― This is quite a line you’ve got here for your event! ― In just a matter of moments you’re completely sold out. The response has been pretty amazing, hasn’t it? Itoi: At first I was being modest and just thought that there may be a few people who would be happy if I made a MOTHER cover and it might be interesting if I mixed it in with the the others in the show window. But the response has been far more than I imagined. Well, I really need to make it, then. Despite being the first to come up with the idea, I’m the one playing catchup. ― Are you thinking about where you’ll take things next? Itoi: Right now, no, but there are people who still want more like before and who are asking about what’s coming next, so I do end up thinking about it, you know? It’s all so strange. ― What’s the reason for MOTHER continuing to be so popular? Itoi: It’s the connection with modern day life and modern day places, I suppose. When you’re suddenly told “It’s dinner time!” right in the middle of playing “Dragon Quest,” you’re taken out of the setting, but it’s different with MOTHER. I think it’s good that it’s tied to modern day life. ― It’s been 26 years since the first MOTHER was released. Do you have any thoughts on that? Itoi: I’m overwhelmed with emotion. You see, even if I forget about it, the fans don’t. That’s why, quite honestly, I don’t think of MOTHER as belonging to me. It’s the same with everything else as well, but it’s just amazing that there are people alive who have played the game, and it really belongs to them. A little while back, around 500 people rented out a hotel and the people holding a MOTHER party came to interview me. The band played on for 24 hours straight and they threw a party with the help of the hotel staff, all the while having the attendees participate in the MOTHER story. I have to go along with it. I think it’s great, in the sense that I had been the one to plant that seed. ― In your vast and storied career, how do you rank the MOTHER series? 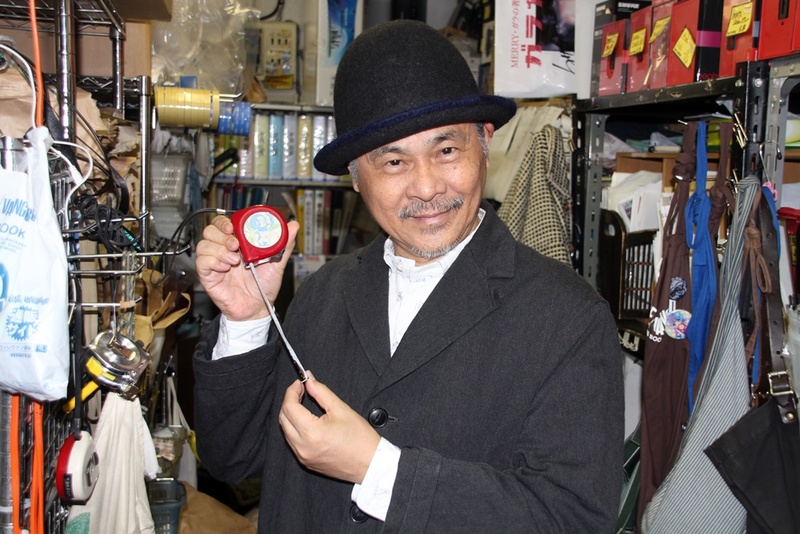 Itoi: I think it’s the most versatile tool in my arsenal out of all my various adventures. I’ve been able to meet people thanks to MOTHER, I’ve been able to have people understand what kind of person I am thanks to MOTHER, and when meeting people who like MOTHER, I always think “so they’re the MOTHER-fan type” when we meet. I did many of my other jobs as a representative acting for someone else, so MOTHER has been the one I can use the most. I’m glad I made it. ― Even the nuances of the Japanese language were kept intact in the English localization, right? ― By the way, were you involved in the English localization? Itoi: Those that did the back and forth work told me a lot, and I’ve met the translator himself. He discussed things like “this part is difficult,” or “this is what I thought and wound up doing with that,” etc. Will there be a Mr. Saturn amiibo or iPhone case? 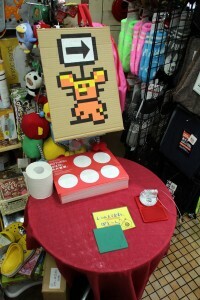 ― I hate to bring in something personal, but my wife is a huge fan of Mr. Saturn and I would like to ask a few questions. 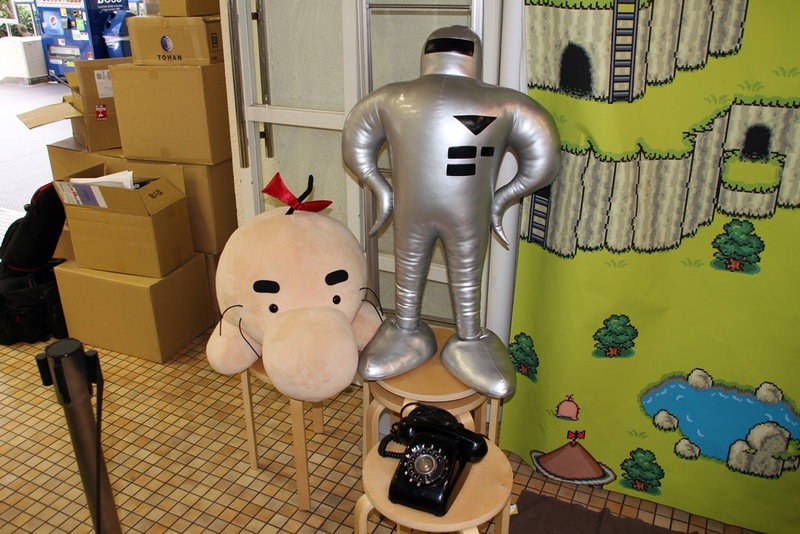 What was the model for Mr. Saturn? Itoi: You have a wonderful wife. (laugh) There’s no model per se, but [Mr. Saturn is based on] toddlers and children. He’s pure, but brilliant. 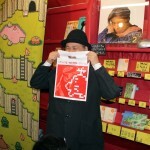 The penguin in the manga “Rice of the Zealous Penguin” is the same way, pure and ferocious, but incredibly intelligent. I like that type of character. Mr. Saturn is like that, minus the ferociousness. ― As a fan of Mr. Saturn, she’s particularly hoping for a Mr. Saturn amiibo or iPhone case. Is there a possibility of these being sold? Itoi: It’s be great if there were a Mr. Saturn amiibo. But actually, I’ve never really pushed Nintendo to do anything. Part of it is that I didn’t say anything specifically because (Satoru) Iwata was a friend, but every time it was more that they would think of something and ask me “what do you think?” There must be a possibility, right? 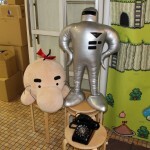 ― One last question about Mr. Saturn: please tell me how to talk like Mr. Saturn. Itoi: I was waiting for that one. (laugh) Keeping in mind his kindness and the lack of familiarity with human society, maybe say things like “can do all for you.” Oh, and maybe really learn that “writing style” well? ― The strongest impression I have throughout the series is the last battle in MOTHER 2, which plays out by using “Pray.” What was your intention for – and the background behind – this scene? Itoi: The deciding factor in games is “he who has the bigger number wins,” so I wanted to do something in which you overcame a larger number. You see, there’s no such thing as having a larger number with “Pray,” which is the dreams of those who are not overwhelmingly strong. At the same place, it’s somewhere to escape to. ― I was surprised by the switching between scenes, almost like flashbacks, in the middle of battle. Itoi: That was something of a wild idea, and would be difficult to pull off in a movie. I didn’t really think about it too deeply. I put the scene together without a lot of thought and it just kind of naturally came to be. Rather than simply wanting to do something different, it’s what I started working on from the want to do something different. You see, the fact that the main character is “just an average boy” is peculiar in and of itself. This is not a so-called “hero’s journey,” and from the start I had set out to make something peculiar. That may be why it’s held on to its popularity for so long. Itoi: You can’t ask me questions about minutia like that! (laugh) Mine would definitely be Porky. That’s because Porky has the most information about him and, despite being a part [of Ness’ story], there’s more information about him than Ness. The player provides the information about Ness. ― You strongly denied it when MOTHER 3 first went on sale, but what do you think about a MOTHER 4? 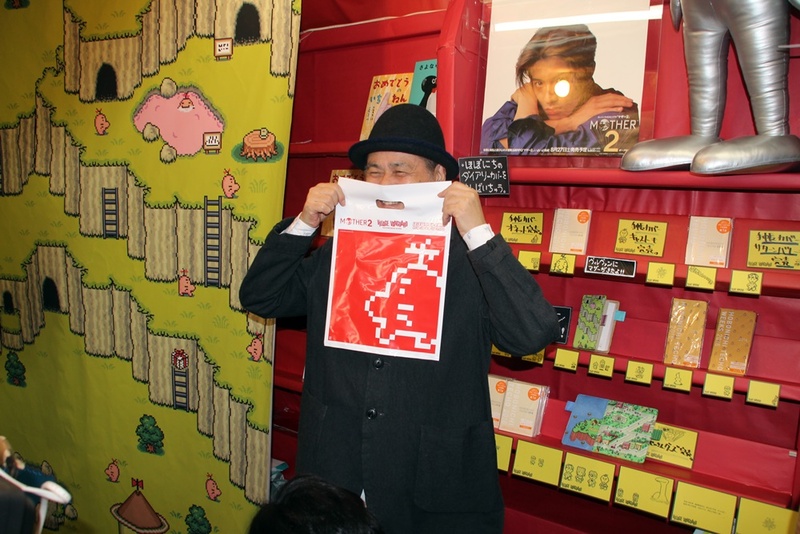 Itoi: I’d love to run a marathon while holding my breath, but as with MOTHER 4, that’s just not feasible. People in America are always saying that “4 is on its way to being made,” but that’s simply a rumor. (laugh) I can’t even imagine how difficult it would be now. Of course, only showing the very fringe elements and giving the impression that it was being worked on was something I did thoroughly with MOTHER 2… and 3. ― It’s been 9 years since 3, so how do you feel now? Itoi: If I were inspired to act through some sort of shocking event that occurred, like a smart and handsome son I never knew about born by a mistress were to suddenly appear and say “Dad, you know, there is this idea…,” it’s possible I might begin work on that, even if I’d be saying “don’t call me dad all of a sudden!” at the time. ― Nowadays there are things like app games, so what about those? First and foremost, I don’t actually have a mistress. (laugh) I’m not making any kids! ― I feel like I get what you’re saying… I think. ― Since you’ve come all the way and made 3, is there any reason behind why you say that there’s no chance for 4? When making 3, I was able to do it because I though I could, and even then I’m impressed I was able to pull it off and feel like I only barely made it through, so 4 is definitely out of the picture. It’s kinda like if a superstar musician were to release 10 albums, but from the fourth album the songs were no good. Sure they sell, but the concert-goers just want to hear the songs from the first 3. Something like that. ― It’s hard to ask about, but what are you feelings on Mr. Iwata, who passed away in July of this year? Itoi: Just the other day, I was talking to my staff and saying that “if Iwata were here, he’d say something like such and such in this case.” It was a conversation about how I’d love to have Iwata here in various situations, and he’s particularly needed in the baseball industry – stuff like that. (laugh) Sometimes I do an imitation of Iwata’s voice. Iwata’s birthday is coming up, so I’ve been thinking that once more this year I’ll need to talk about some story I can share about Iwata. If I don’t, I feel like that grief everyone is feeling will simply grow. I’d love to have a day where Iwata would come back to us and talk with everyone. I mean, he only passed away this year, you know? Even now I’m still filled with sadness. There’s been nothing like this, even among my own family. ― Are there any games, or creators of games, you’ve been interested in lately? Itoi: Well, I don’t really play games much lately. Recently, I tried out “Super Mario Maker.” With things like “Super Mario Maker” and “Pikmin,” I’d love to just sit and watch to see what (Shigeru) Miyamoto is trying to pull off from the sidelines. I’m definitely curious. As for smart phone gaming, I play a bit but always stop shortly thereafter. ― Why did you drift away from gaming? Itoi: Well, there are those that are too hard for me to get into in a serious manner, and those that are just nothing more than endless variations on Tetris. I don’t really need either of those types. I want to negotiate. Some sort of communication where something interesting comes along and, in return, I need to give up something interesting. There’s nothing that lets me do things like that. ― Is there anything game-like in the projects you’re currently working on? Itoi: Among those ideas I’m thinking about, I’m constantly keeping in mind “what would people who played games enjoy?” You see, I too would love to play and enjoy those things. I haven’t just given up on digital information, hoping to have someone make that “interesting game” that I assume must exist! Itoi: For starters, I’m making an app about cats and dogs. We’ve even made an alpha build, but this is an app in which people would upload pictures of their cats and dogs, so something like a Facebook about cats and dogs. From there, if people add information on stray animals, ultimately we will have the information for dogs and cats throughout the world. We hope that when an animal gets lost, the people in the area will help you look. I think behind the idea of this application, there’s a game somewhere in there. ― Finally, do you have anything to say to the visitors to this event?